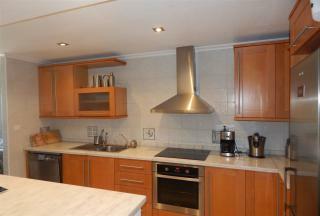 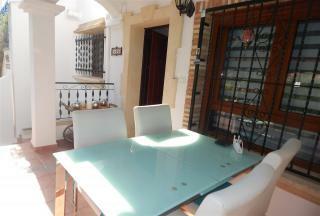 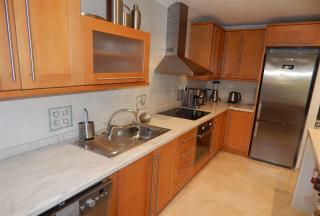 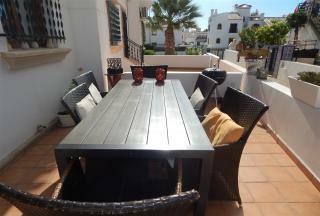 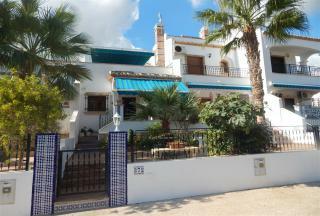 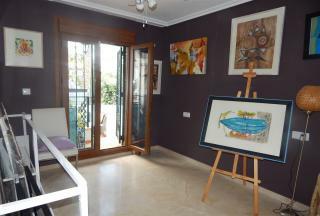 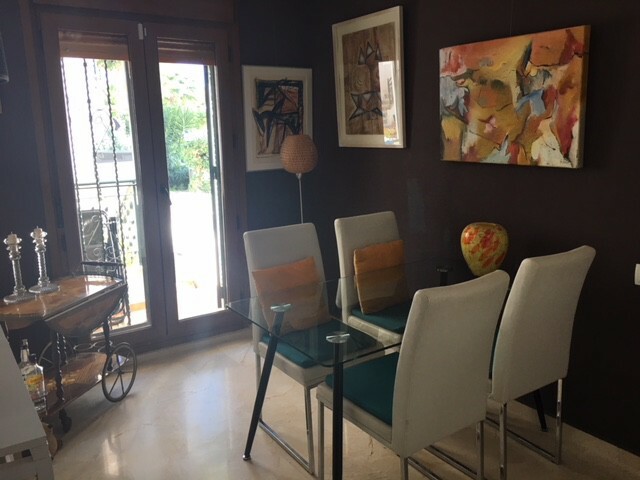 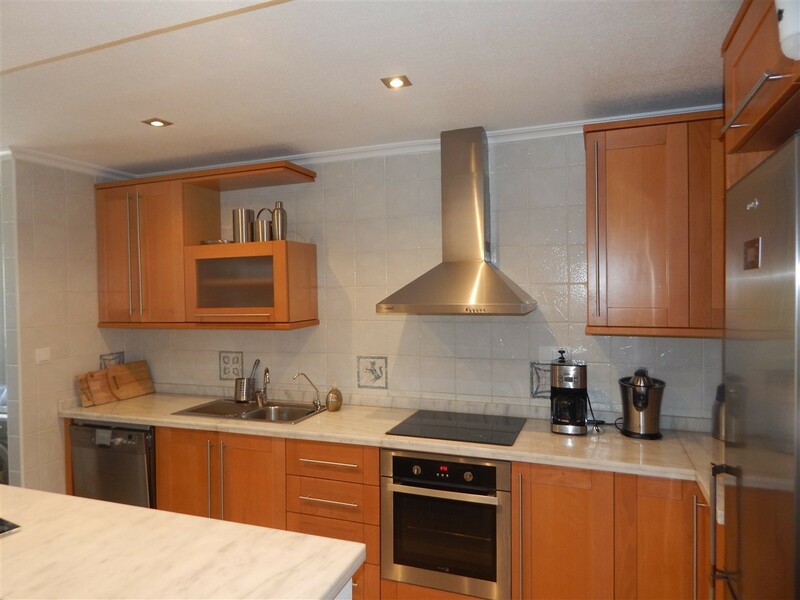 3 Bed Townhouse Beautiful 3 Bedrooms Buhardilla Villamartin 03189 - Vista Casas Real Estate S.L. 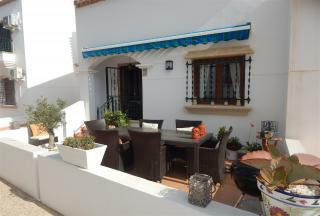 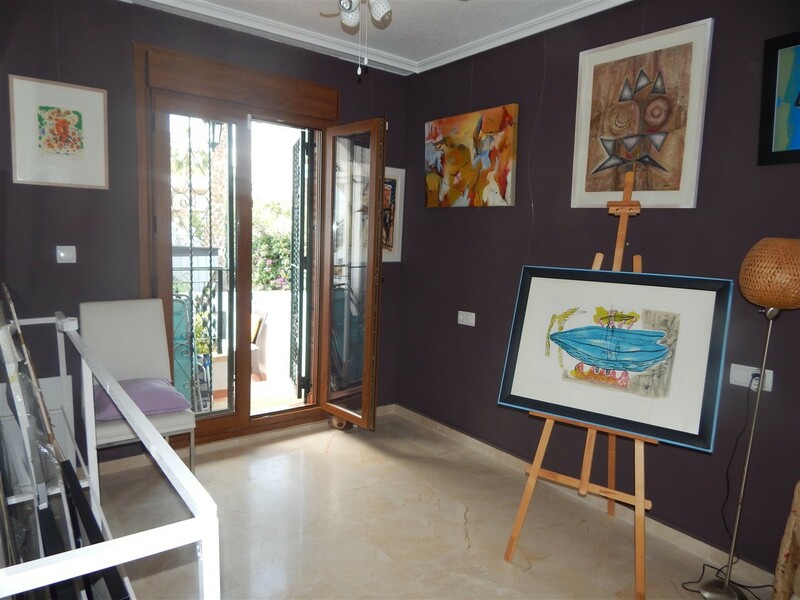 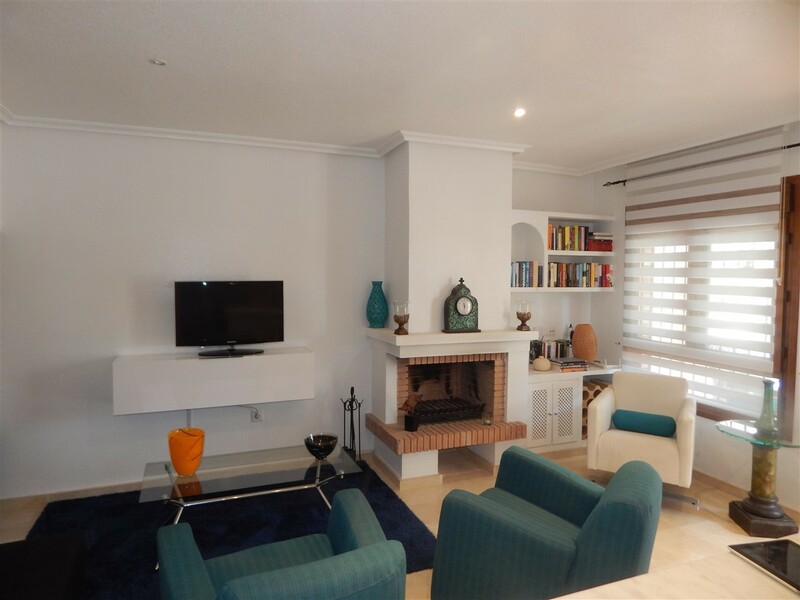 This beautiful 3 bedrooms, 2 bathrooms, Buhardilla townhouse is located in Pau 8 in Villamartin. 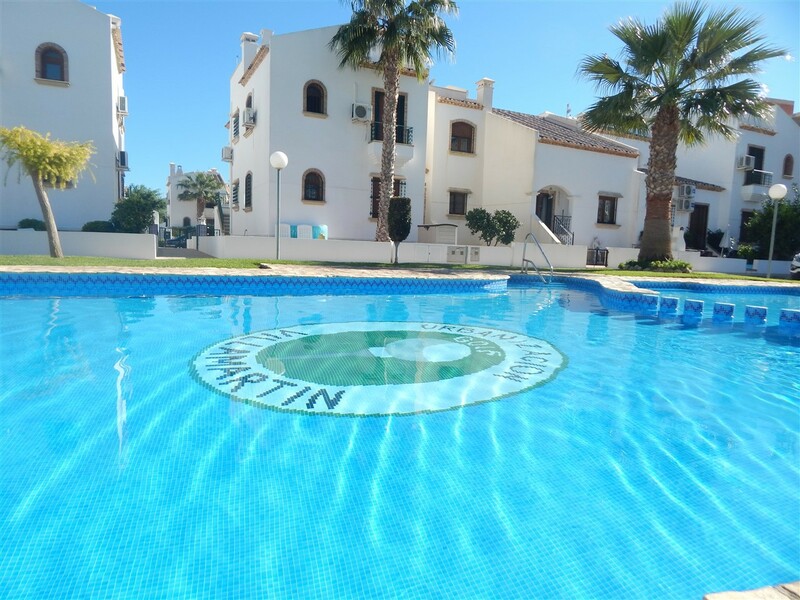 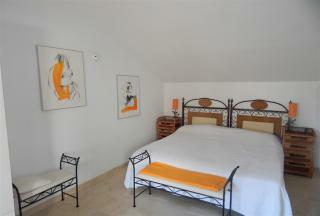 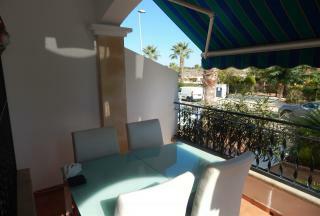 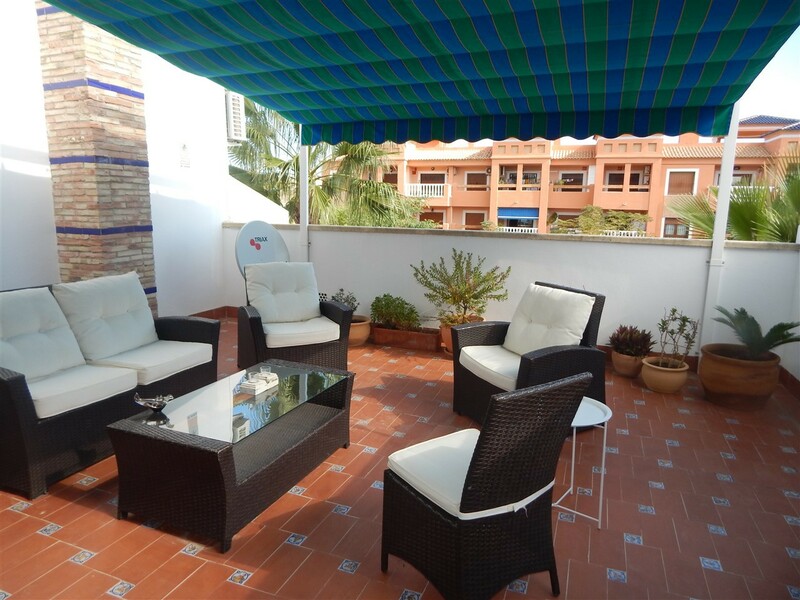 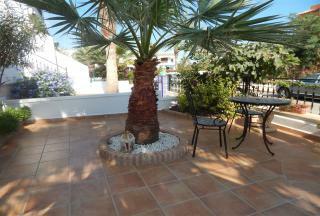 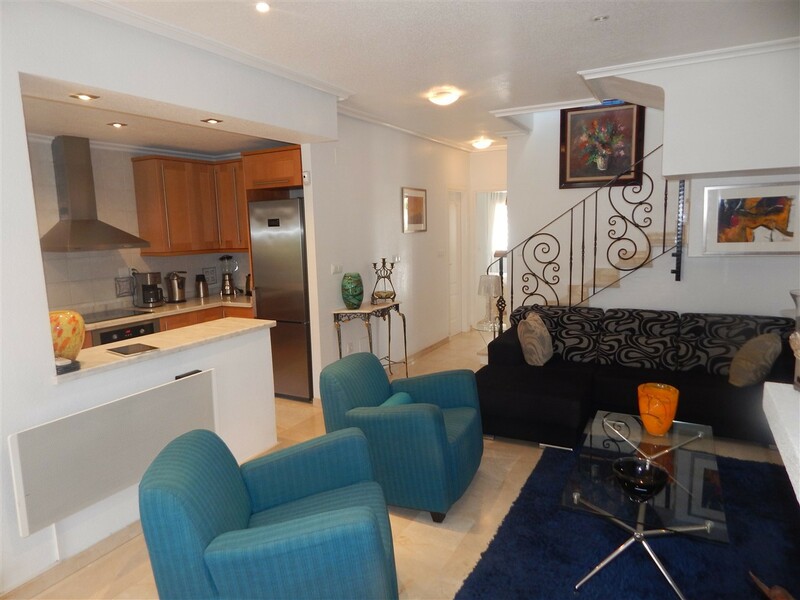 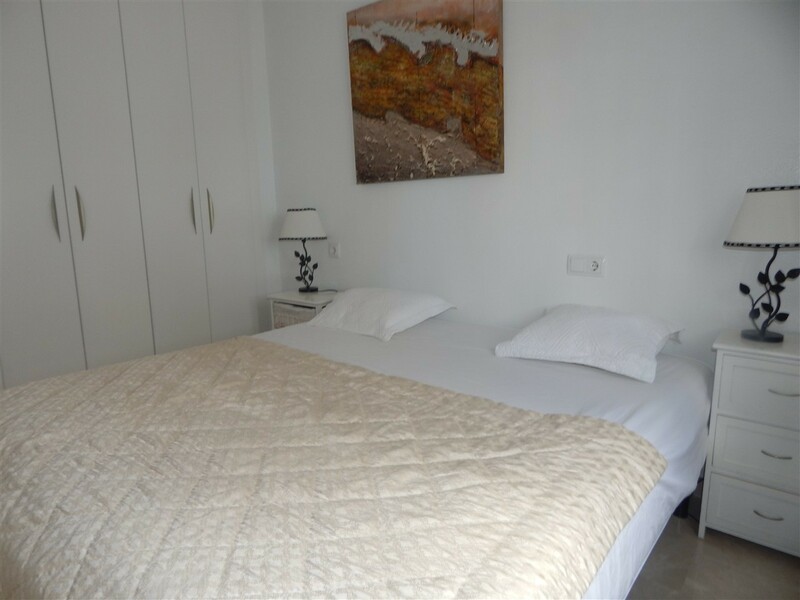 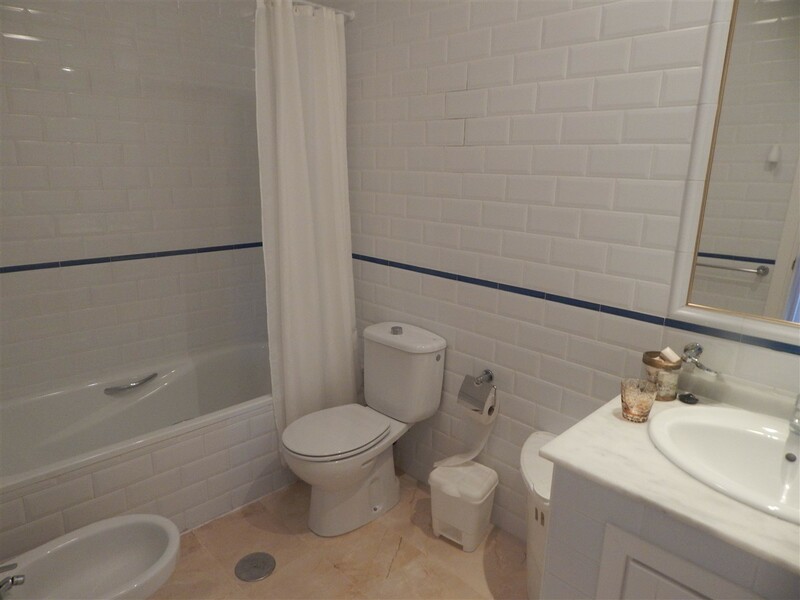 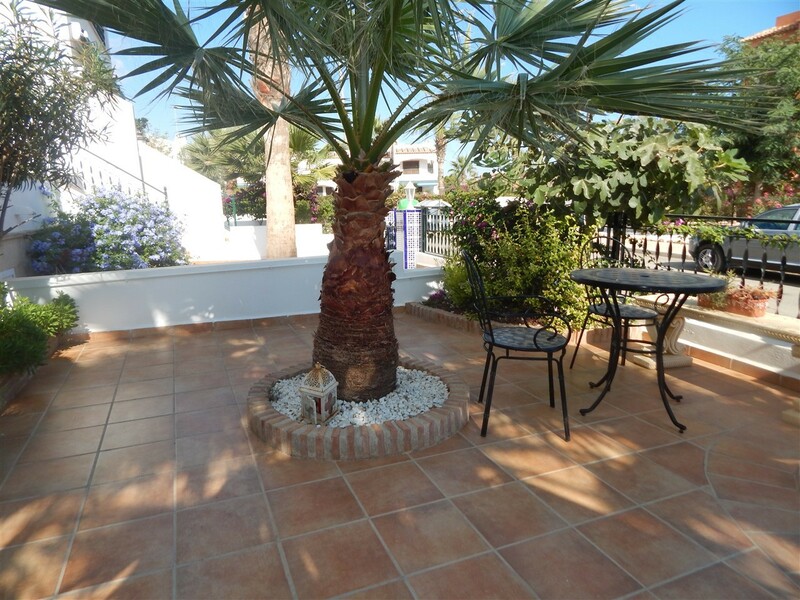 Only a 10 minute walk to the Villamartin Plaza and Golf Course. The property offers large living area with 2 bedrooms on the ground floor and 1 bedroom with en-suite on the first floor. Communal Pool. To the rear of the property is a large terrace with seating area and direct access to the community pool and gated parking area. 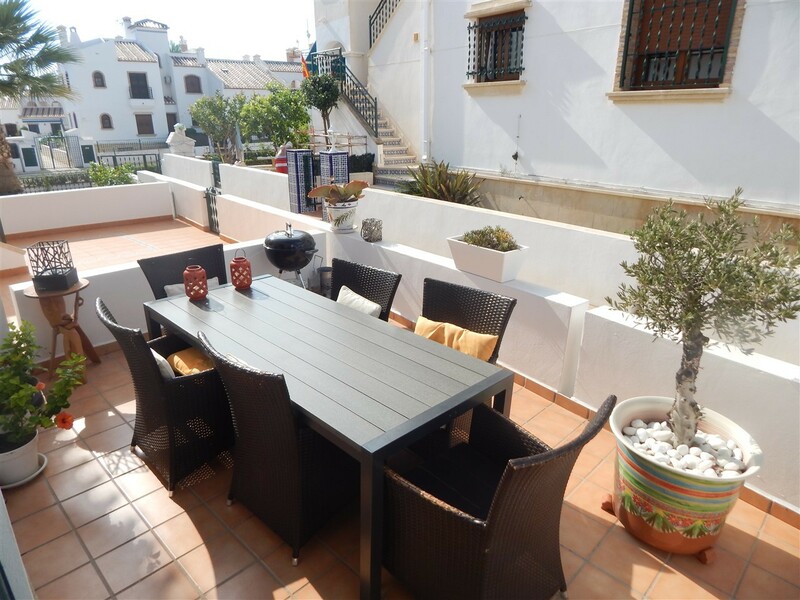 This is a well presented example of this ever popular model of property that offers spacious accommodation and generous outside space including fornt and rear gardens, covered fron terrace and solarium. 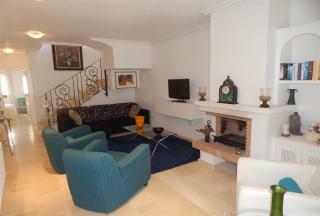 There is a large living room with dining area, American kitchen plus utility and ground floor bathroom and 2 bedrooms. 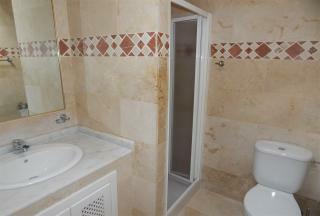 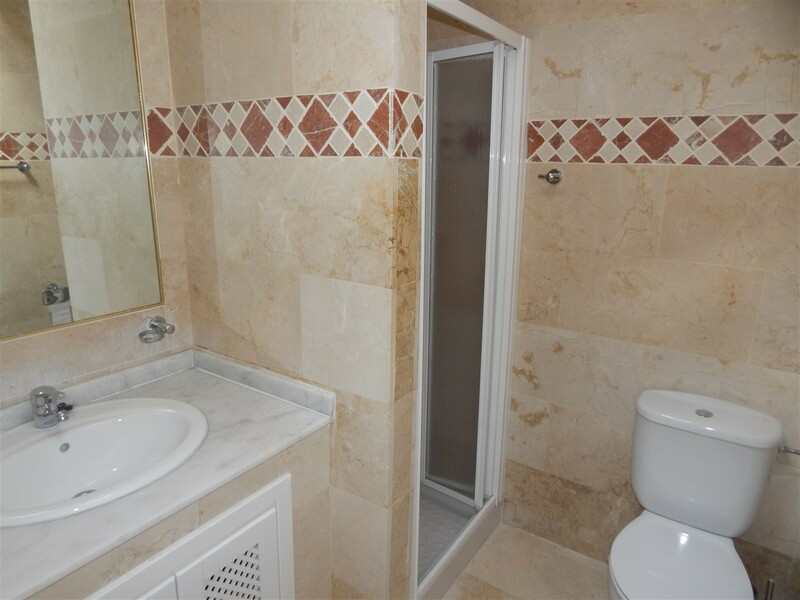 The first floor master suite has en-suite shower room, storage space and solarium. Comes furnished and fully equipped including air-conditioning and fireplace.